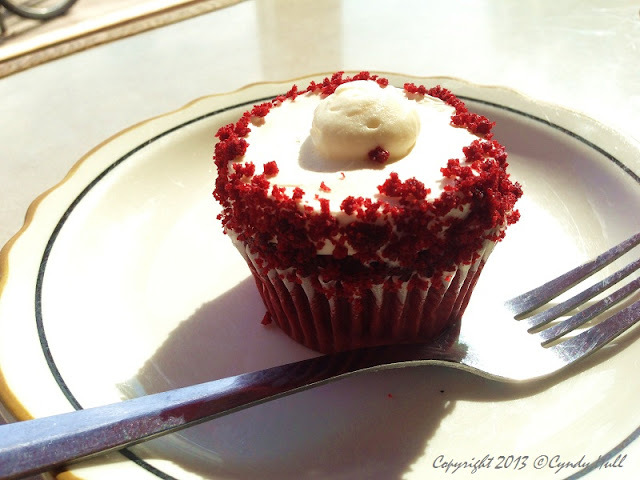 Red rover, red rover, we call CUPCAKE over! Bernice's Bakery's red velvet fairy cake, to be specific - real buttercream, not too sweet - a perfect way to cap off a delightful afternoon with one of my spunky nieces. Great will power! Red rover memories - not so pleasant - part of childhood rites of passage along with dodge ball and 'bumping' on the school yard swing. What adventures today's tech obsessed children are missing.